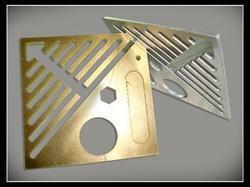 We offer brass cutting services for prototyping, small volume production as well as production line integration. This helps in leading to overall cost saving and further helps in enhancing production efficiency as well as accuracy of finished products. we provide service for brass laser cutting, cnc bending and metal fabrication work in best economical rates. joint venture for manufacturing metal fabrications for export are welcome. we offer economical rate for laser cutting, cnc bending and metal fabrication work in volume business tie up.